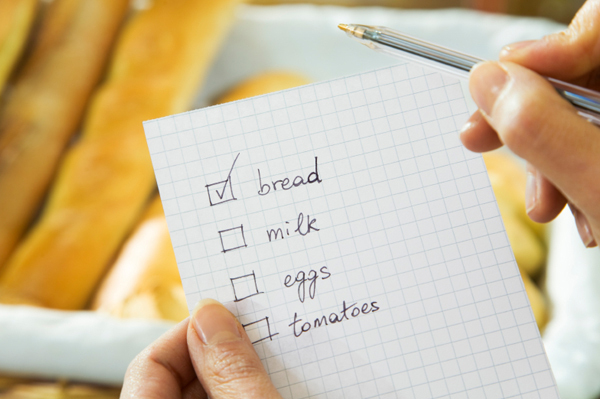 Check your calendar to see what meals you’ll actually need & have time to cook. Know what you have on hand, so you won’t buy duplicates. Check for leftovers you can repurpose. Bring your list (and reusable bags). Stick to your list. Don’t be distracted by sale items and specials. Buy the amount you need. Larger size might cost less per unit, but not if you’ll throw out what spoils before you can use it. Beware of Buy one, Get one free–It’s not a bargain if you waste some of it. Buy only what you can use before your next shopping trip or before it spoils. Know the best methods of storing perishables. Precut and store prepared foods spoil more quickly. Buy only what you’ll use up within a day or two. Keep food visible, especially perishable items. Extra ingredients–Find a way to use them in another recipe. Save and use leftovers. Repurpose for another meal or freeze for later use. 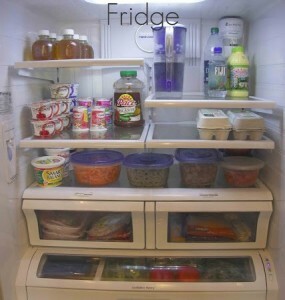 Have a special place or box in your fridge for food that must be eaten soon. Use clear food storage containers and label them with contents and date. Try not to overstuff your refrigerator and keep items visible. Before a vacation use up what you can and buy only what’s necessary until you leave. Holidays and parties–try not to buy more than you’ll need. Think creatively–Are there substitutions that you have on hand to use instead? Some food waste is inevitable, but you can keep this out of the waste stream with very little effort. And there are several different options, depending on how involved you want to be in the process. See Green Needham’s composting instructions. Consequences of overbuying–Food waste and packaging end up in a landfill. Your reduction of food waste will help your budget and have a positive impact on the wider community. Your habits can teach others, especially the next generation of shoppers, to be mindful of food waste.